Two people died at the Grand Canyon after two separate incidents this week, including a tourist who was taking pictures. On Thursday, a man from Hong Kong was taking pictures at an overlook of the Grand Canyon when he slipped and fell, according to a spokesman for Grand Canyon West. A helicopter search began immediately, and a recovery operation is ongoing, according to David Leibowitz, a spokesman for the Eagle Point observation area. The man was in his late 50s and was part of a tour group visiting the Eagle Point observation area at Grand Canyon West, according to Leibowitz. 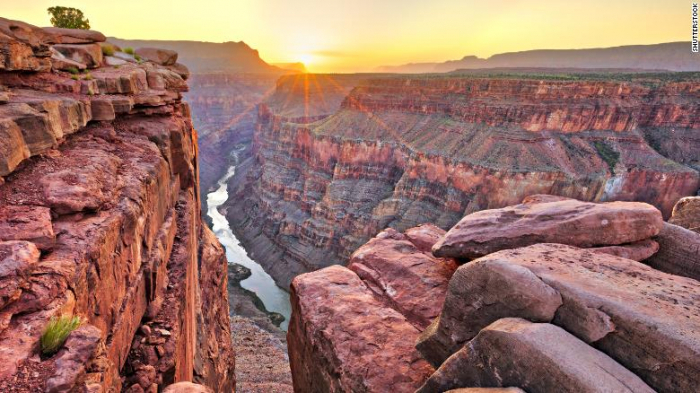 Grand Canyon West is owned and operated by the Hualapai Tribe, according to its website. Eagle Point and nearby Skywalk have been closed, Leibowitz said. This was the second death at the Grand Canyon this week. On Tuesday, according to a statement by the National Park Service (NPS), rangers and special agents responded to a fatality of a visitor near the South Rim of the Grand Canyon. The details of the death were not made immediately clear, but the statement said that the NPS and the Coconino County Medical Examiner are conducting an investigation.